Connect and Cultivate Health, Happiness & Abundance. They are a calling from your soul letting you know that you can heal and have all you desire in your life. Vibrant health, complete self-acceptance, supportive relationships, and fully living your passions & purpose. Ease your way into the Maui experience: sleep in, take a walk on the beach, have a breakfast of fresh tropical fruits, swim in the ocean and take a guided meditation practice nap. We start our journey together by gathering at my beachfront condo and connecting with all the soul-seekers who will be journeying with you over the next five days, and beyond. We’ll begin to share our intentions & desires for the retreat. After, we’ll enjoy a delicious dinner at my condo or a local restaurant together. 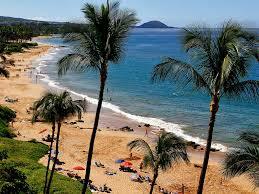 Then it’s off to enjoy the rest of the evening- perhaps a moonlight walk on the beach or relaxing on your lanai. This morning we’ll join in a fun process that leads each of us to discover our divine passions & desires. Find out what REALLY lights you up and get a sense of the life you are really here to live! We then use this process as a spring board to creating our “Desire” cards, and collect images that resonate with your health, passions and all you desire in life. The afternoon is free for you to do as you please- snorkeling, whale watching, napping or just lounging on the beach. After dinner we will continue to discuss, co-create and play with our “Desire” cards together. Reconvening this morning, we’ll begin by exploring the connection with the breath & body and how to use them to relax and heal. The afternoon is free for you to snorkel, explore, nap or lounge on the beach. After dinner we begin the process of accepting, listening to & understanding the messages your body is bringing you through the symptoms or illness you are experiencing. This glorious morning is free time for exploration, rest, to let things “percolate”, or join me for an optional tour. The group comes back together mid-afternoon to begin to begin discovering our emotions and self-limiting beliefs. We’ll also focus on tools to feel & release stuffed emotions such as anger, shame, guilt, sadness AND integrate beliefs so that you can heal your body & fully live your life of health, peace, and passion. Today we co-create our self-connection blueprints: health, love, passions, purpose and ALL you desire! You’ll have the morning to reflect on your retreat journey, relax, or join me for an optional tour. We come back together mid-afternoon to share our personal retreat experiences and blueprints. Our journey together ends with a delicious dinner at a local restaurant, followed by a soulful experience to re-connect with our personal power & “Something Bigger” to support you to ignite your desires and take action moving forward. 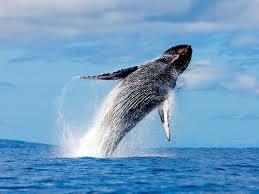 Hours of free time each day to: explore/tour Maui, snorkel, whale watch, & relax on the beach! Retreat does not include: airfare, transportation, lodging (Roommate on request)), meals, sightseeing/tours. Read the guide for more details. Email tanya@tanyapenny.com for questions and to sign up. Retreat limited to 8 people. *Can’t make Maui? Join me for the Florida or Zion Retreat, or the Virtual Program. **Earn CEU — Occupational Therapists, Coaches, & Health Professionals. Details here. The retreat was HUGE for me, life-changing! I will definitely go to another retreat with Tanya. I was very anxious when I decided to go to the Women’s Retreat with Tanya. All my fears, money concerns, and negative judgements about myself came up, but I kept feeling that I really needed to do this and signed up with the help of my higher levels. And WOW, did I ever get a lot out of this experience. The retreat was HUGE for me, life-changing (I didn’t think I would ever use that term)! Tanya held a safe place for me to be vulnerable, and I felt loved and supported. I pushed myself physically, mentally, and emotionally – in a good way. I learned that I actually do have passions/purpose and have the courage to continue to take steps to bring them to fruition. I’m seeing that good things can happen for me and am not automatically going to the belief that I’m not worth it. I am now feeling part of a supportive community and have friendships that will continue for a lifetime. You will definitely find me at another retreat with Tanya. I recommend anyone who has a desire to not let anything get in the way - just do it! You won’t regret the decision!